As someone who is endlessly curious about wellness—and happens to reside in the anything-goes frontier that is Los Angeles—I often find myself treading a line between an open mind and the need for scientific evidence. I've sung the praises of float tanks and sound baths, for example, but recently left a "chromotherapy" treatment feeling rather disgruntled that I had just spent $45 on what turned out to be a rather unremarkable nap. That said, I also find myself feeling protective over the alternative treatments that I have personally found to be quite effective but lack general acceptance from the scientific community—which isn't necessarily a reflection on the efficacy of those treatments, but it sometimes has to do with a lack of research in the first place due to stigma, their abstract nature, or any number of reasons. For me, Reiki serves as the perfect example: The Japanese energy healing technique has been a source of great catharsis even in the limited experience I have with it, but it tends to raise some eyebrows—especially beyond the margins of L.A.'s famously amenable wellness community. It all begs the question: As a practitioner, how do you respond to the inevitable skepticism toward your work? "I would tell them I get it!" says Kelsey Patel, Reiki master, meditation teacher, and yoga instructor, who you might recognize from a few episodes of Vanderpump Rules. "I worked in the United States Senate and for a big fortune 500 company for nearly a decade in total. When I first started to receive Reiki, I was also quite skeptical." But as she continued her sessions, she says, her opinion began to change. "I never knew what was happening in the sessions, but I did know that I left feeling more relaxed," she recalls. And the abstract nature of it, she says, is kind of the point of it all: Because our minds are uniquely complex, our own take on Reiki is highly individualized by default and can often defy logical explanation. When you think about it in this respect, it's not that different from traditional psychotherapy or meditation—progress isn't always linear, and there's no predicting when the breakthroughs might happen. Above all else, self-scrutiny is key. And to be clear, the woo-woo connotations of energy healing obscure the fact that there is some science to back up the benefits of Reiki. But we'll get to all that in a second. Find all the answers to your burning questions about Reiki healing below. In many ways, Reiki can be seen as a form of guided meditation—and we know that meditation can address a myriad of physical and emotional imbalances. "For anyone who is curious about trying it or who has anxiety or pain or is just seeking a sense of balance and harmony, I would say it's absolutely worth the investment," says Patel. 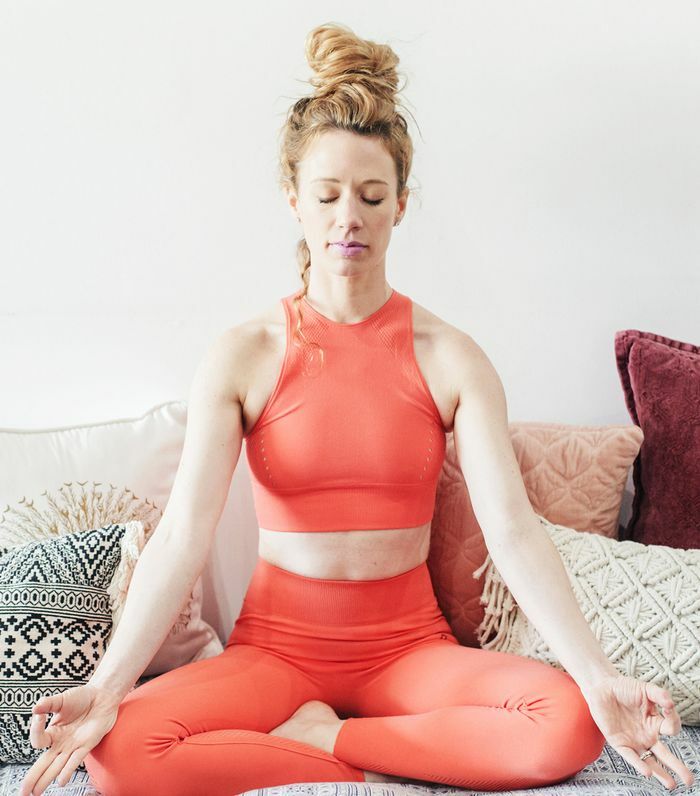 "It may not end up being the modality that's right for you, but it may also be an amazing experience that brings you to a new state of relaxation and physical, mental, and emotional balance." Again, every person is different, so the key is to not have any concrete expectations. "If you do decide to try it, make sure to go in with an open mind," says Patel. "The Reiki is always working, and because it's energy, the more you open to it, the easier you're able to receive the full benefits during your treatment." That said, you might feel a number of things. The two times I received Reiki in a group setting (both from Patel, as fate would have it) both floored me because I felt a physical sensation that I never expected: Though my eyes were closed, I felt an actual vibration coursing through my body in the seconds before Patel had even touched me, like pins and needles, as if I anticipated her administering the treatment (though I had no way of knowing she was about to touch me). Patel says this tingling sensation is common. However, "people often feel many different things during a treatment," she adds. "None is better than another. It's your way of connecting to the energy. Sometimes it's a release, an opening, deep healing, or simply flow and movement back in the body. We are all unique in our healing, so how we receive it becomes a part of that uniqueness too. Not one client or student I've ever worked on has had the exact same experience, and that's part of the magic." "So many!" says Patel. "I've personally seen it help me with extreme back pain and anxiety. I've witnessed tremendous shifts in my students and clients over the years as well." As is the case with many complementary and alternative methods, the scientific community is often slow to regard Reiki as a legitimate treatment, but the limited research available is promising nonetheless. A 2014 study suggests that Reiki may aid with depression and anxiety. A 2011 study monitoring the impact of Reiki administered on chemotherapy patients found that the treatment improved their well-being. The National Center of Complementary and Integrative Health notes that one of the biggest obstacles in finding quantifiable evidence for Reiki is that most studies carried out only monitor a small group of people and suggests that more rigorous trials are necessary. But if we approach Reiki less as a form of mysticism and more as an effective way to achieve a meditative state, these results are more concrete: Scientists do know, for example, how meditation can significantly change our brains, aiding in issues ranging from addiction to chronic pain to insomnia. Reiki, Patel says, can be seen as a potential means to achieve these ends. "Reiki is all about bringing balance and harmony, so it can assist with a myriad of symptoms from pain, mental fatigue, overwhelm, stress, and depression to weight loss, overcoming fears, healing past traumas, an elevated sense of connection, and much more," she says. "More than anything, I've found that Reiki brings people a deep feeling of peace and a renewed sense of trust for their path." In other words: As far as we're concerned, any attempt to tune into yourself and your needs is highly productive—even if it ultimately doesn't turn out to be the method for you. On that note: Learn which meditation technique is best for your personality.